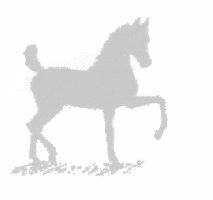 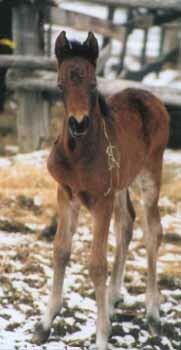 We bred our beautiful Cherokee daughter, Tara's Sable, to our foundation stallion, Fiddler's Blackriver for what we hoped would be one of our best foals to date. 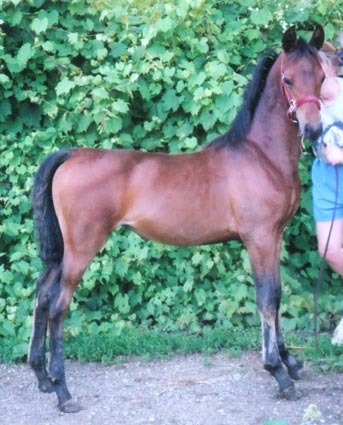 We were absolutely not disappointed! 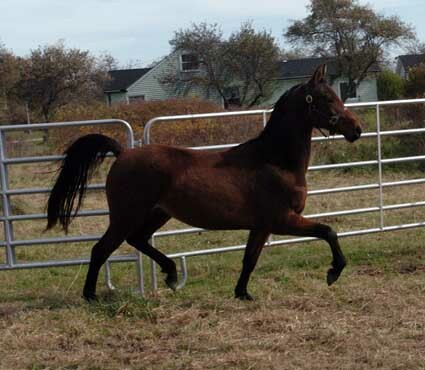 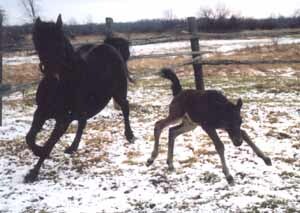 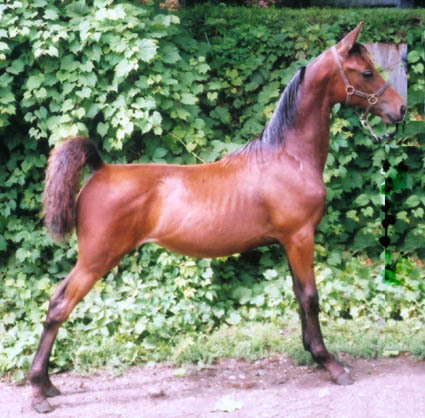 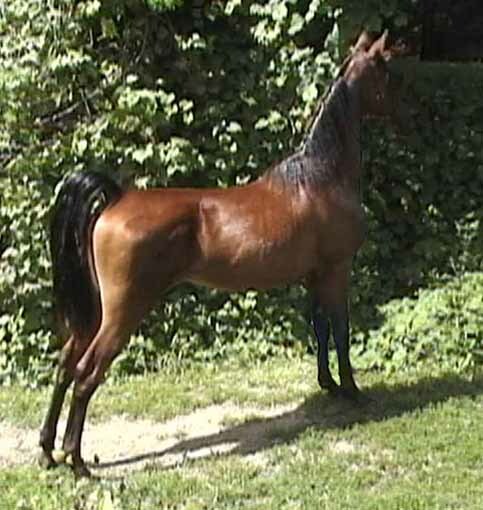 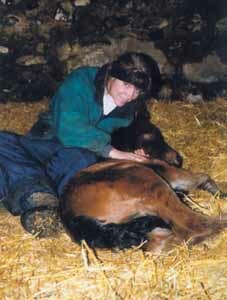 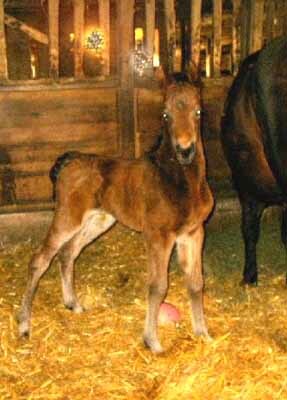 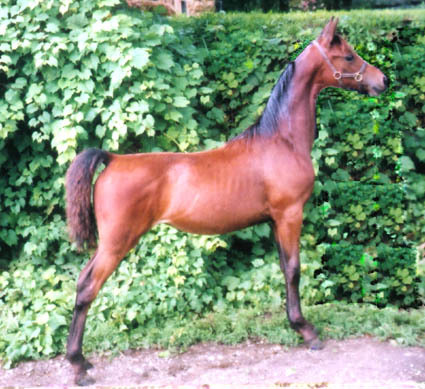 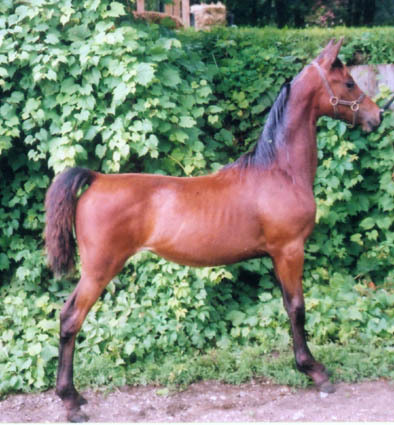 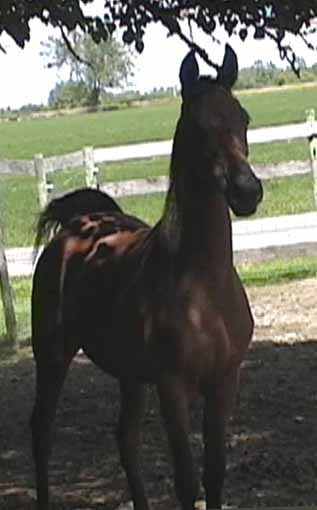 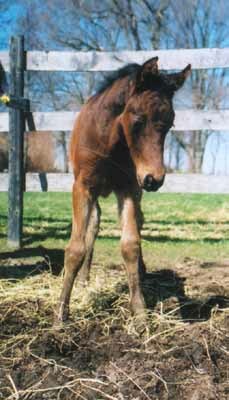 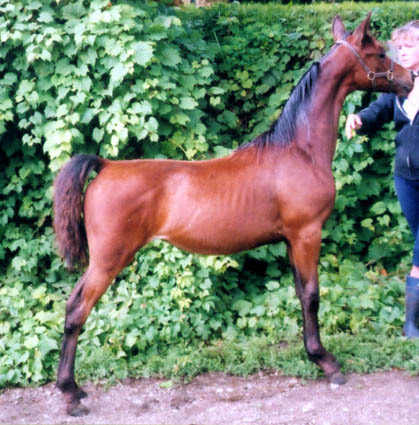 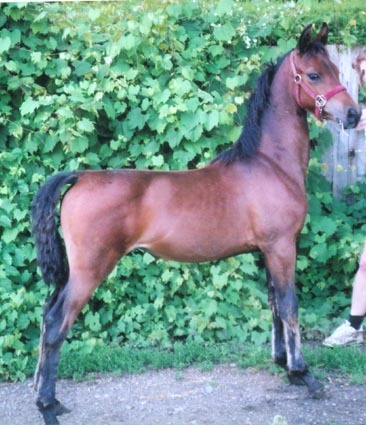 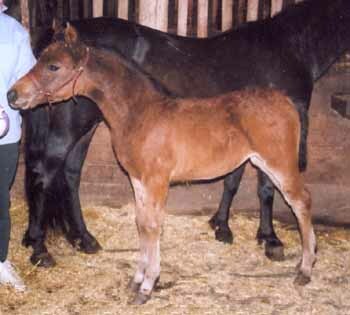 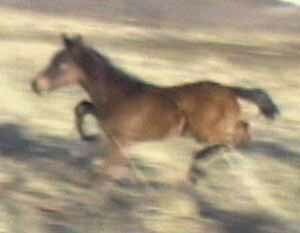 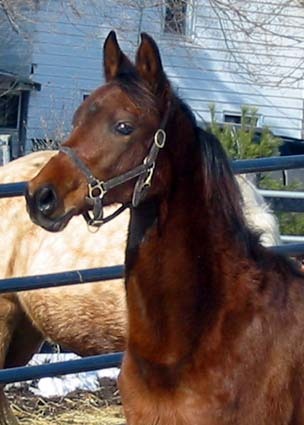 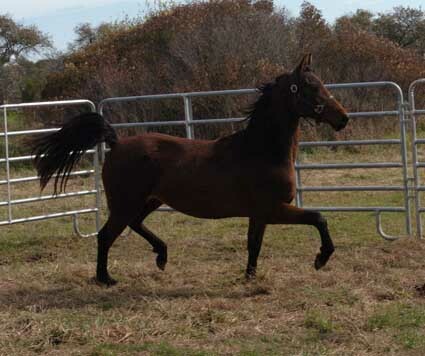 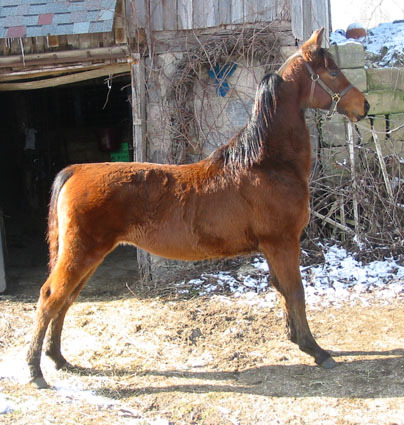 Ancan Silk N Satin, fondly known as "Sneakers," was the foal this mating created. 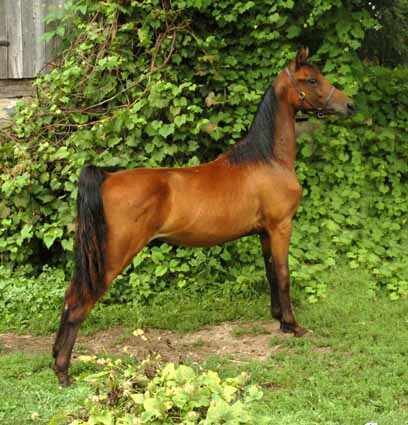 This young mare is just beautiful; stunning! 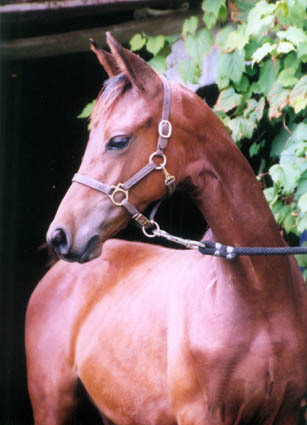 She has a lovely refined head with big wide-set eyes. 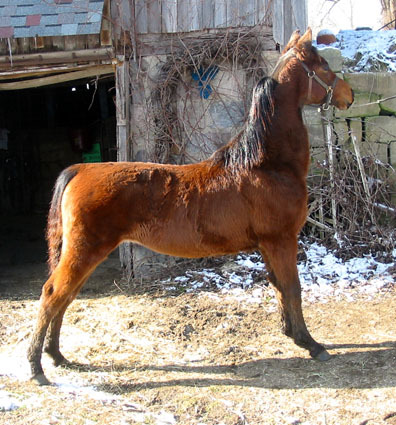 She has the same great hip of both parents with wonderful hocks. 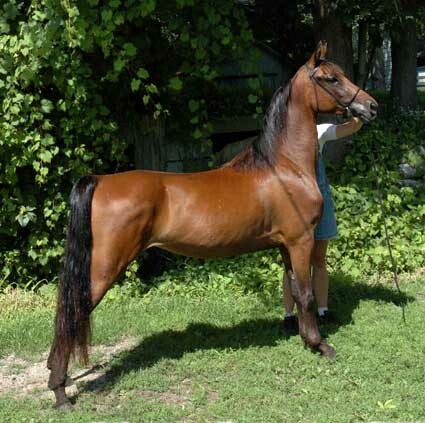 What a plus for today's show ring as that trait (great hocks) seems to getting harder and harder to find. 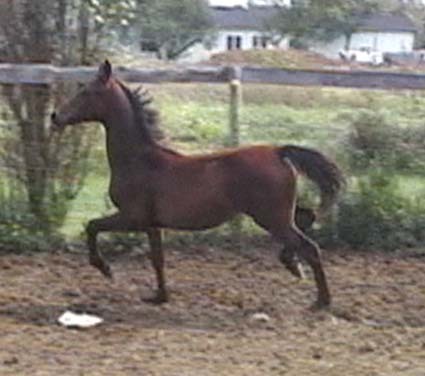 She is animated in her motion with the "form to function" conformation, and has a style and a grace all her own. 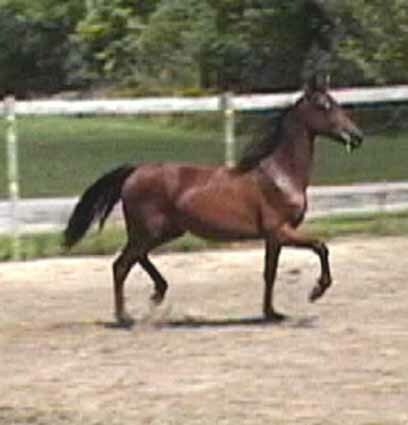 She struts around like the "Prima Donna" she knows she is. 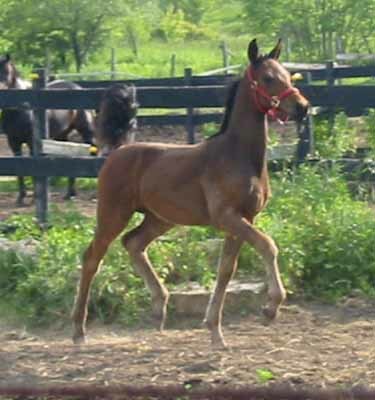 *Lots* of attitude on this fancy filly! 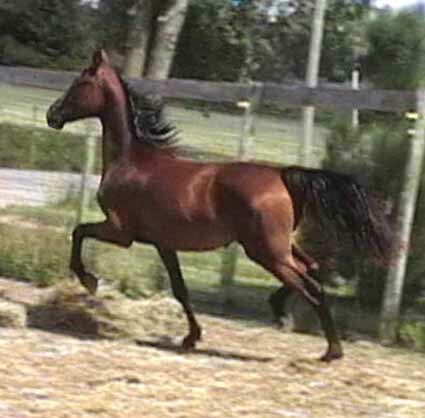 She is World Champion-caliber as an In Hand and performance contender, and should take the Morgan world by storm as a future breeding mare. 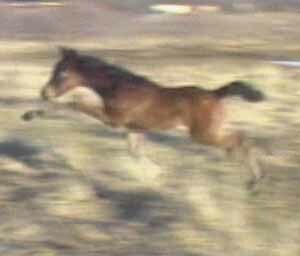 Her future is most promising.